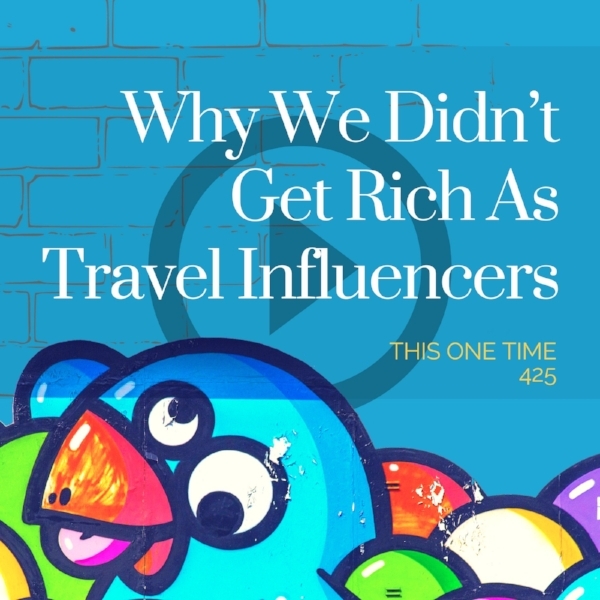 A detailed breakdown of how much money we’ve earned as travel influencers over the last three years. These results may or may not be typical. Click to stream this funny travel episode! Evo’s paid gig as the keynote speaker at Nordic Bloggers Experience in 2017. Free beer (because we’re clever) from Bottles of Beer and Save Our Souls in Bangkok, and Oskar from Pegasus in Tallinn, Estonia. Not that we have anything against being better writers, or paying money to hone your craft as a writer. But we’re skeptical of any get-rich-quick schemes. But YMMV. Got a question for us? Leave us a quick voicemail. And if you want these episodes early and gain access to all of our bonus content, support us on Patreon.